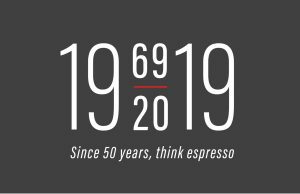 It’s 2019, and Astoria will be blowing out 50 candles at Sigep, the leading international trade fair in Rimini for specialty ice creams, pastries breads and coffees. This will be the first in a series of events taking place throughout the year that will culminate at Host 2019. The company from Susegana is a leading producer of quality professional espresso coffee machines. From January 19 to 23, 2019 they will be welcoming visitors to their expo space (Pavilion D1 – Stand 187) to see the finest items in their line of products. There will also be an open bar and a happy hour for all the friends and customers who have come to know the world of Astoria throughout these 50 years. There is the new Core200, a machine with a minimalist design built with maximum care, developed with an integrated production process. A meticulous choice of materials and details make it a unique high-quality product. 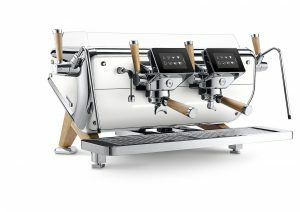 The HYbrid Heritage is an upgrade of the revolutionary HYbrid, the missing link between traditional espresso machines and super-automatic machines. Its updated design is the result of Astoria‘s innovative capacities that are able to anticipate market demand. The STORM FRC is the winner of the Good Design Awards and the German Design Awards, two of the most prestigious and accredited prizes in the world industrial design sector. This machine was developed to provide the barista with total control over extraction, in a perfect mix of artistry and high technology. “It is an honor for us to be able to celebrate 50 years of our company by presenting three models that will launch us into a future where more attention and care are invested into products with unique concepts and shapes that reinforce our character and identity,” explained Managing Director Beppino Ceotto. On Saturday, January 19, from 6:00 p.m. to 8:00 p.m. Astoria is also pleased to invite everyone to their stand to toast the company’s 50th birthday. Come celebrate this significant milestone with us!